Left brain, right brain, pug brain. : Artichoke pizza with garlic-mustard sauce. Artichoke pizza with garlic-mustard sauce. Preheat oven to 450F. 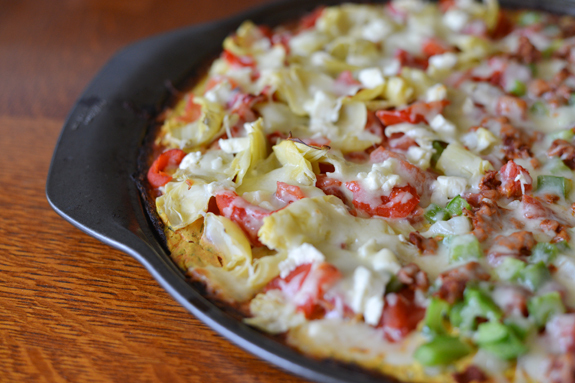 After preparing the cauliflower crust, spread pizza sauce evenly over the top of crust. Next prepare the garlic-mustard sauce by mixing all ingredients over medium-high heat in a small saucepan. Let sauce come to a boil, reduce heat and simmer for a few minutes, stirring often. 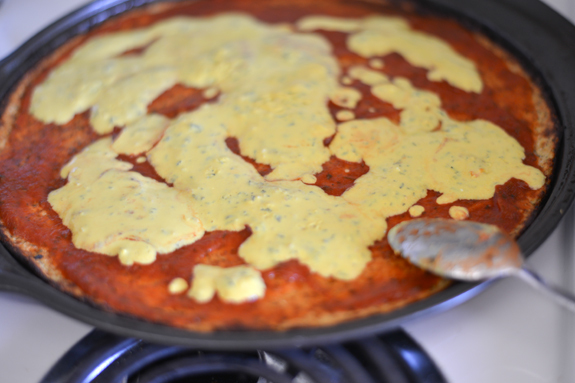 Next, spread garlic-mustard sauce over the crust on top of pizza sauce. 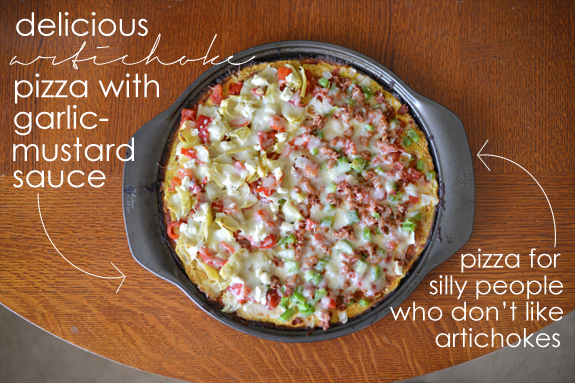 Top the pizza with plenty of artichokes and roasted red peppers, then sprinkle both cheeses over top. Cook for 10-15 minutes, until cheese is melted. Serves 8 at 245 calories per slice. Um... I want this right now.